Companies and organizations can work smoothly when they maintain confidentiality regarding their tasks and deals. It is necessary for a business to sign a Employee Confidentiality Agreement with the employees before starting any new project. We have made your task simpler. 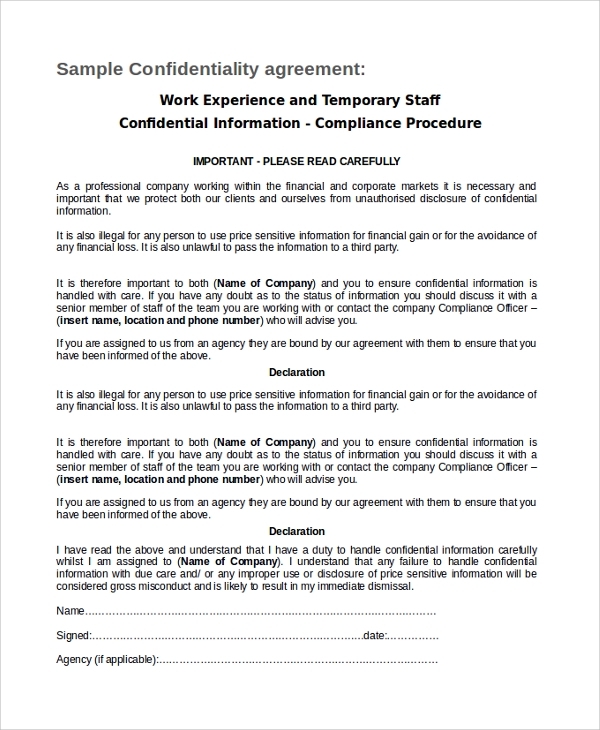 Below is a list of confidential agreement letters for businesses. 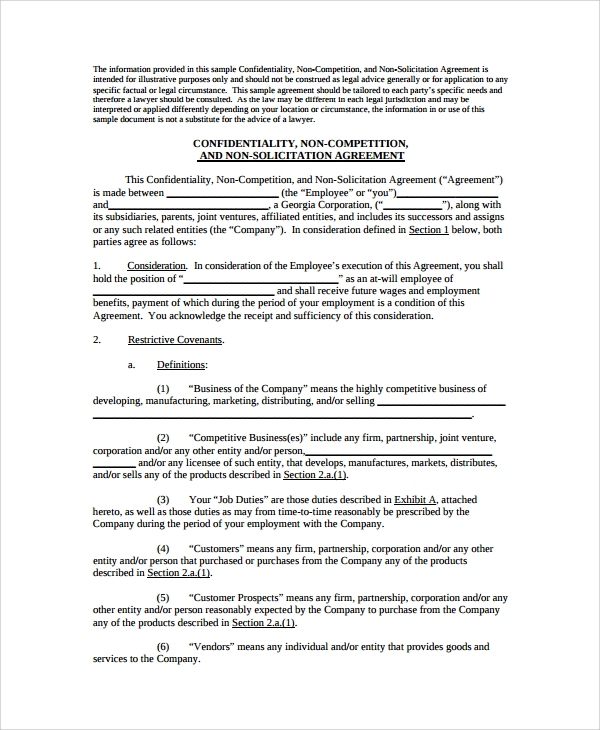 You can download the best agreement template to make a deal with your employees. These agreements contain legal copy-writing including working terms and conditions. Check the list below and click on download to get access to the employment confidentiality agreement. You may also Staff Confidentiality Agreements. 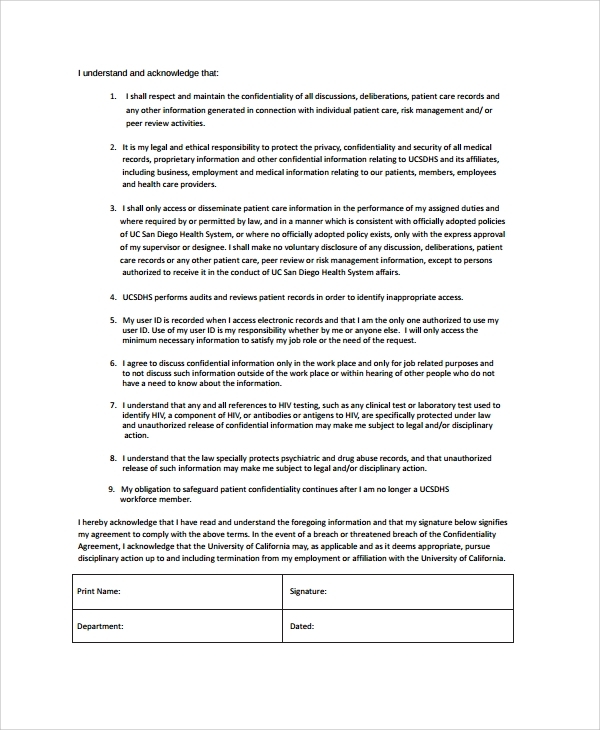 Standard employment confidentiality agreement contract can be used in any organization and community for signing a non-disclosure and non-competition agreement. 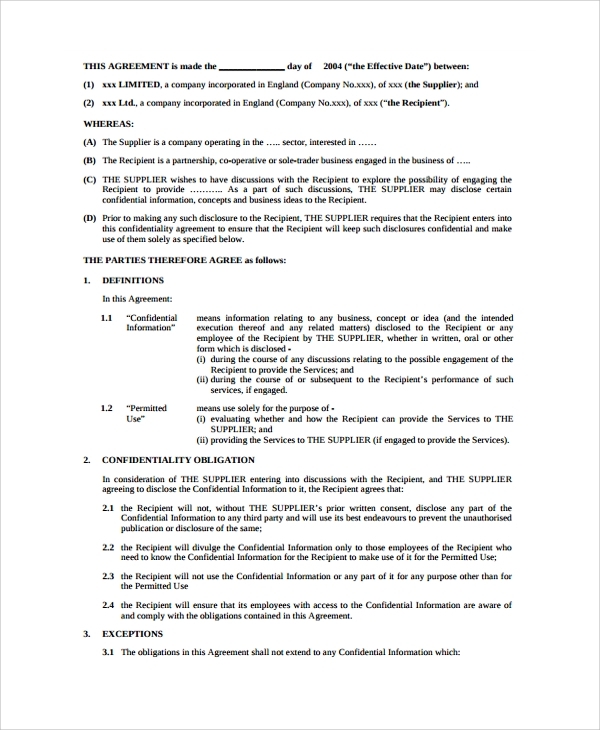 Download the PDF document and take out the print for making a contract with the employee. Make it a legal document by capturing your and your employee’s signature. Law firm employment confidentiality agreement is used to sign a non-disclosure agreement between a disclosing and receiving party. 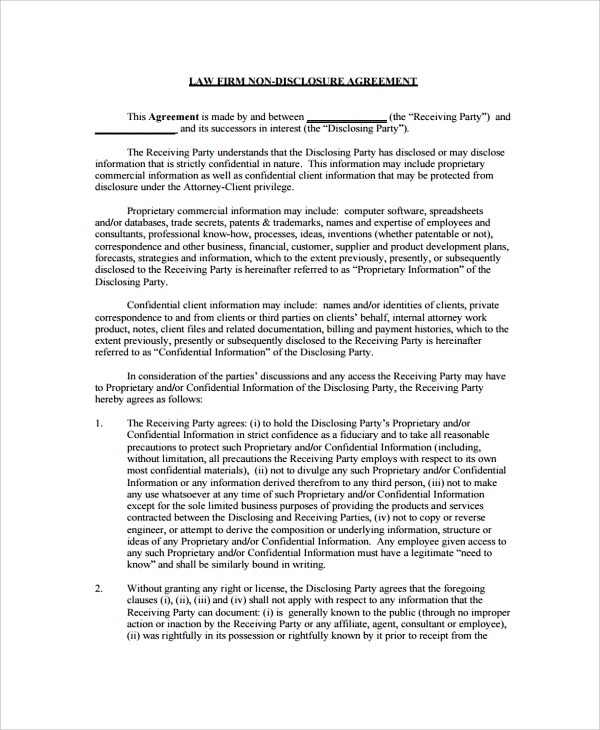 It includes key terms and conditions and rights authorized by the disclosing party to the receiving party. Customize the agreement using MS-Word for changing the law body name and typing disclosure and receiver’s name. 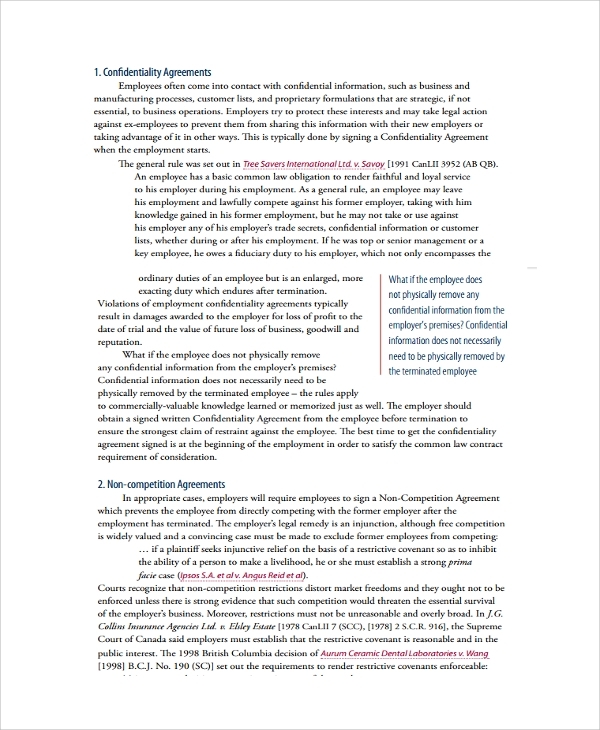 Post-employment confidentiality agreement PDF document explains and highlights the importance of confidentiality agreement, non-competition agreement, and non-solicitation agreement. Employees who have signed these agreements earlier can clear their doubts regarding post-employment confidentiality agreement by reading it. 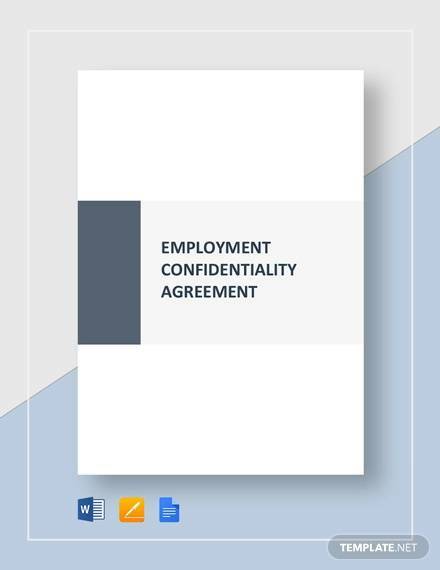 A pre-employment confidentiality agreement is a contract signed between an employer and an employee before joining the job/office. It is a legal procedure that ensures employers that employee will maintain and follow all terms regarding confidentiality, non-solicitation, and non-disclosure policy. 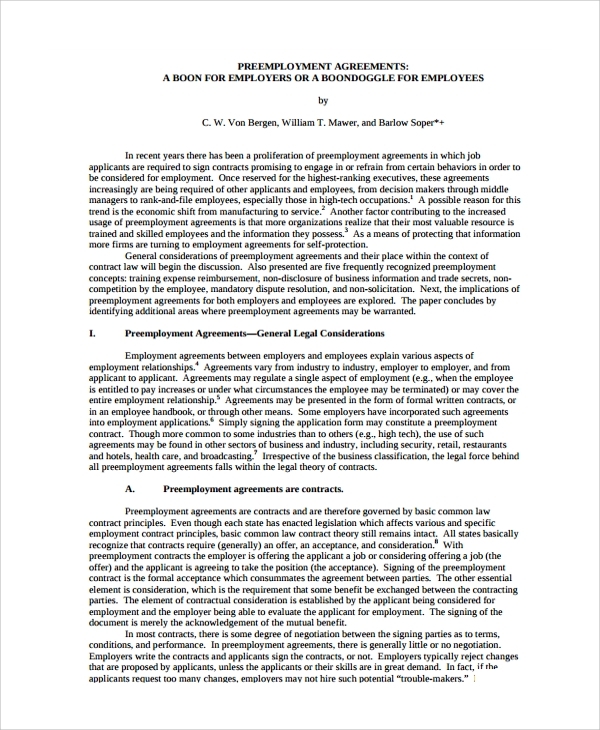 Download the agreement and read all agreement terms in brief. 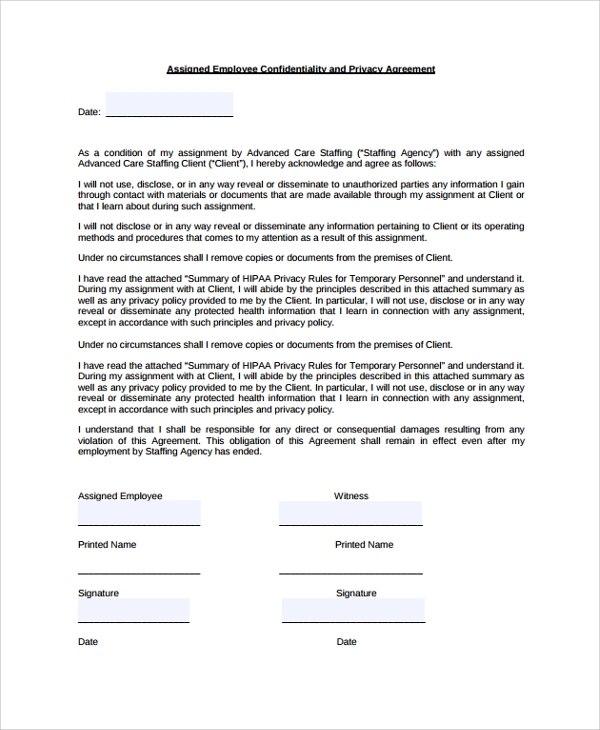 Our employment confidentiality agreement contracts are standard versions that can be used anywhere with little customization. You can download and customize the agreement as per your convenient use of digital software.